“Stéphane and Consolate are Belgians who, after having traveled a lot in the world for professional reasons, discovered the fabulous Winelands in 2012 and fell in love with the beautiful landscapes, the outstanding wines, and the lovely people of this unique region. So they decided to settle in Paarl, at the very center of the Winelands, next to the gorgeous Cederberg Nature reserve and the prestigious Grande Roche hotel and its famous Bosman’s restaurant. 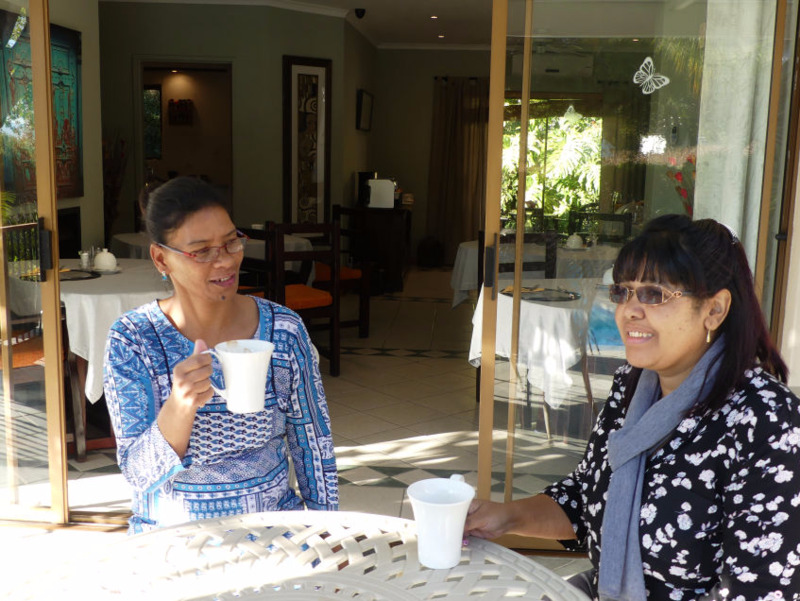 As they wanted to share their happiness to be in this beautiful environment, they decided to run De Wingerd Wijnland Lodge, a charming place where guests would feel “home away from home”. Having themselves enjoyed the hospitality of guesthouses and Lodges in many places in the world, they want to demonstrate the same qualities of warm welcome and excellence in service to distinguished guests in De Wingerd Wijnland Lodge. BREAKFAST - Enjoy a traditional South African Breakfast cooked fresh every morning. Wi-Fi -Free Wi-Fi is available in the individual rooms and in the reception areas. PARKING - Our on-site car park entitles all our guests to totally free parking for the duration of your stay. SLEEPING -All of our beds have luxury memory mattresses. MINI BAR - Guaranteed for a good nights sleep! LAUNDRY - A laundry service (min. 24 hours), is shared by the Guest Tages.